More are feared buried under the rubble, NDRF team is also participating in the rescue operation. Dharwad: With rescue operations continuing well into Wednesday afternoon, more bodies have been recovered from the collapse site of an under-construction building in Karnataka’s Dharward, taking the toll to five, reported ANI. District Surgeon Giridhar Kuknoor confirmed that 43 people have been admitted to the Civil hospital while 13 people have been referred to KIMS and SDM hospital. 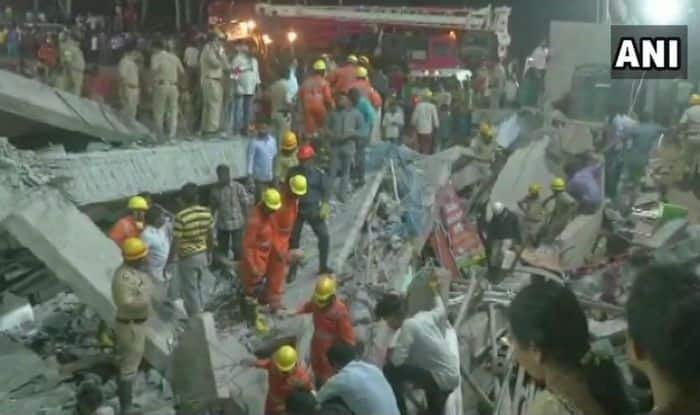 The rescue operation was underway in Dharwad’s Kumareshwar Nagar where an under-construction building had collapsed last night. An NDRF team is also participating in the operation. A report said construction had been on for the past two years. The first two floors had around 60 shops which were functional. Some reports also suggested that about 150 people were in the shops when the structure crashed. The building is owned by Basavraj Nigadi, Gangadhar Shintre and Ravi Sobrad. While the real reason behind the collapse is still not known, it can only be probed once the rescue operation gets over.